Queen Victoria and John Brown. Artist: Sir Edwin Landseer. Boggel takes his position behind the counter. Nobody says anything about his ruffled and red-eyed look. Instead, they’re talking about the drought and the way the dams are drying up. The only one who seems comfortable under these depressing circumstances, is Servaas. He always thrives on misery. Vetfaan can’t take the gloomy atmosphere any more. 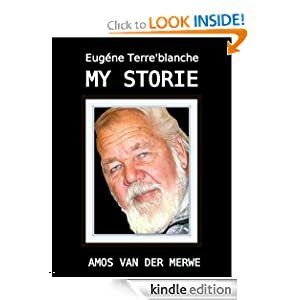 She tells the story with flair, making them laugh and cry and get that Christmassy look we all get when we sing Auld lang Syne. .
“Much too philosophical for me.” Vetfaan leans back against the counter. “‘T’s the time to be jolly, but this feels more like a wake than a celebration. Maybe we should get that stripper from Pofadder to liven things up a little.” He ignores the disapproving stare from Oudoom and the stern finger Fanny shakes at him. “If I may, sir?” Mister Stevens and Miss Kenton have been sitting quietly at the table next to the window. Butlers never join the revelry of their employers and always maintain a respectful distance. Now, however, he finds it necessary to contribute his opinion. “I’m reminded of our late queen, Victoria. She ruled for 63 years, remember? Passed away – may her soul rest in peace – in 1901. But 40 years before that, Prince Albert died. You see, Prince Albert was the love of her life – the man she adored. Oh, before Albert, there were many suitors who tried to win her heart, but once she fell for Albert, that was it. They were married when she was 21, had nine children and shared the many responsibilities resting on the shoulders of the Queen. Mister Stevens falls silent, staring at his manicured hands. “That’s extremely sad, Mister Stevens. Why did you mention this bit of history?” Fanny arches her eyebrows, not sure where the butler is leading them. He pauses a moment, apparently weighing his words carefully. “I often wonder about Victoria’s household. I seem to recall the name John Brown, her personal servant. Servaas, who has always been a reluctant admirer of Victoria (such a strong woman, but the Second Boer War…) cannot believe his ears. “We’ll never know, sir. There were rumours of a secret wedding… But, that isn’t the point here, is it?” He turns to the bar to address Boggel. “Mister Boggel, I’m reminded of this bit of history to confirm a single fact: it is okay to love. Love asks not who you are and what your standing is. Love marches in where logic hesitates to knock. Love exists only to contribute to one another, never to destroy. “So, how exactly does this help Boggel?” Vetfaan doesn’t understand. Boggel serves another round, a slow smile hesitating on his lips. But it’s never as easy as that, is it? Mary Mitchell will be part of Boggel’s existence for the rest of his life. At times he’ll smile when he thinks back; at others, he’ll retire to his little room behind Boggel’s Place to reflect and feel lonely. That’s when he’ll curl up with Sandy to tell the little bear about the stern old woman: the untouchable, severe queen of a great empire; who insisted on being buried with the memories of such a special love. And then, with a sad smile, he finds it comforting that he isn’t the only one who finds Love to be a thorny rose: beautiful to look at, painful to hold on to, fleeting in life, enduring in passion. At least, he realises, the memory of love may very well be the most precious gift of all; a treasure of the heart and the mind, that doesn’t even die when the coffin containing the lock of hair is lowered into the grave. And, because Boggel belongs to the select and exclusive group of people who understands this, Sandy will just have to do until he discovers somebody he can tell this to. 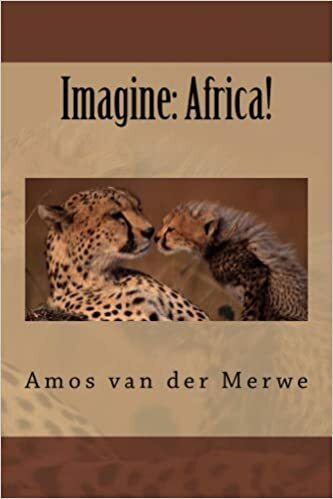 This entry was posted in short stories, smalltown short stories, Uncategorized and tagged Boer War, butler, John Brown, loneliness, love, postaday, Prince Albert, Queen, relationships, Victoria, WPLongform on December 22, 2013 by Amos van der Merwe. The seatbelt signs flash on. James Stevens helps Miss Kenton to fasten the clasp. Then, as the aircraft touches down, he is surprised to find her hand seeking his, fingers clamping down in uncertainty. His reward is a shy smile. Stevens smiles politely, leaves the baggage with his master, and steps outside to survey the possibilities. As usual, Mister Hartford has several trunks and they’ll need at least a roomy limousine to cart them to this little tumble-weed town. When the glass doors slide open to allow him outside, he stops in shock. Heathrow. Now there’s an airport for you. Modern and huge, you can find anything from a razor to a new suit in the place. But here! One building, a dilapidated restaurant and nothing else. Worse: once you exit the building, you’re on a kerb. Where’s the line of taxis and limousines? The heat is oppressive. The sun’s glare is too bright. And there, the only vehicle with a taxi-sign on the roof, is a minibus that has seen better days. Did he say the place is half-civilised? “Are you sure we’re on the right road, Stevens?” Even Mister Hartford seems unsettled by the way the vehicle swerves and sways past the potholes. “Oh yes, sir. 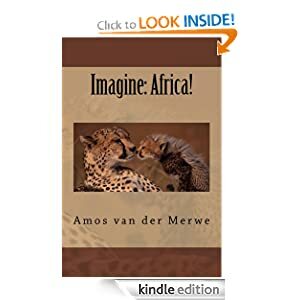 The driver has no English, I’m afraid, but he understood a bout the town…” He tries to get his tongue around the word again, fails, and smiles apologetically. “Indeed sir.” Stevens is secretly starting to enjoy the trip. Oh, it’s a tragedy: the master losing his son and such; but this excursion into the unknown is quite exhilarating. He’s never been outside England, and to do so while sitting near Miss Kenton is certainly more pleasant than shining silver in the manor. Almost like a holiday, now that he comes to think of it. “This is it?” The incredulous tone of Hartford’s voice conveys disbelief and dismay. The driver says nothing. He opens the back door of the minibus so that Stevens can unload the trunks. Then, after being paid, he gets back in the vehicle, goads the engine to life, and rattles off. The three – dressed in their usual attire – stand with uncertainty written over their faces as the patrons in Boggel’s Place gather on the veranda. For a moment, the two groups have one thing in common: they can’t believe what they’re seeing. “Miss Kenton, I’m afraid I expected more signs of civilisation over here.” Stevens whispers as he eyes the khaki clothing, the short pants and especially the unpolished boots. “And where, exactly, is the hotel?” Hartford’s voice doesn’t have it’s usual commanding tone – in fact, Stevens suppresses a smile because of the note of uncertainty. Gertruida – who else? – steps forward with an extended hand. Leaving his two servants in the sun, he leads the group to the door of Boggel’s Place. The sooner he gets done here, the better. He does not see Kleinpiet standing off to one side, shaking his head. 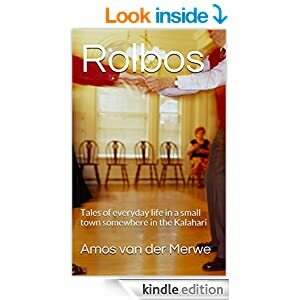 This entry was posted in smalltown short stories and tagged butler, kalahari., postaday, relationships, transport, WPLongform on April 29, 2013 by Amos van der Merwe. The butler pauses in front of the heavy oak door. Mister Hartford left strict instructions this morning: he is not to be disturbed. Under no circumstances, none at all. Now, with the telegram neatly arranged (not touching sides, in the middle of the tray) on the silver platter, he lifts his free hand to knock softly. Henry Hartford II is a man of slow temperament and prides himself on his self-control. Anger is an unnecessary waste of energy, so is spontaneous laughter. One does not do such things – it merely exhibits poor taste and an uncultured background. One merely smiles and gets on with life, doesn’t one? No matter what trivia life throws at one, one must simply occupy the crease and bat out the innings. Life, like cricket, has no place for emotions. Poring over the many pages of the balance sheet in front of him, this is exactly what Henry Hartford II does: he’s muttering. Both words. Repeatedly. The knock on the doors silences him. Did he – or did he not – leave direct orders about not wanting to be interrupted? Stevens, the butler, should know better than ignoring his wishes. Still, one has to accept that servants lack the discipline and training needed to understand the intricacies of a cultured existence. “In!” One word. That’s all that’s needed. One shouldn’t waste time with lengthy speeches. “Indeed?” It’s more of a statement than a question. Hartford nods, allowing the butler to approach his desk. When the tray is proffered , he lifts the brown envelope from the silver surface. Then, with the slightest flick of the wrist, he dismisses the ageing butler. Stevens paces the kitchen while he watches the little panel of lights. Mister Hartford has not summonsed him since this morning, which is strange. No tea. No lunch. No gin. Nothing. This is most unusual, to say the least. “Do you think he’s all right?” Miss Kenton, the housekeeper, frowns as she kneads the dough for tomorrow’s bread. The kitchen is large, with pots and pans against one wall. Mister Hartford insists on keeping things as the were in his father’s day; which means housekeeping is so much more difficult than in other mansions. The coal stove, the antiquated utensils and absence of a dishwasher combine to make life less than pleasant for Miss Kenton. Still, in these economic times, one is thankful for a steady job. On his return to the kitchen, Miss Kenton asks about Mister Hartford; but Stevens ignores her. He sits down on one of the old chairs, shaking his head. ‘The waltz must go on’, was the wish of the nineteen-year-old (now Sir) Anthony Hopkins when he composed a waltz. Now over forty years later, his wish has come true. André Rieu has arranged his piece successfully and the world première of ‘And the Waltz goes on’ was a huge success. 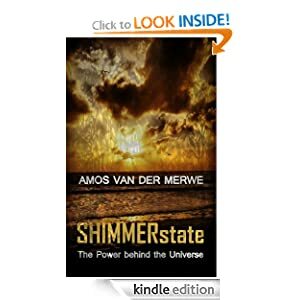 This entry was posted in smalltown short stories and tagged butler, postaday, relationships, telegram, WPLongform on April 28, 2013 by Amos van der Merwe.